Driver based cash forecasting software helps you to model cash flow forecasting scenarios across your business. 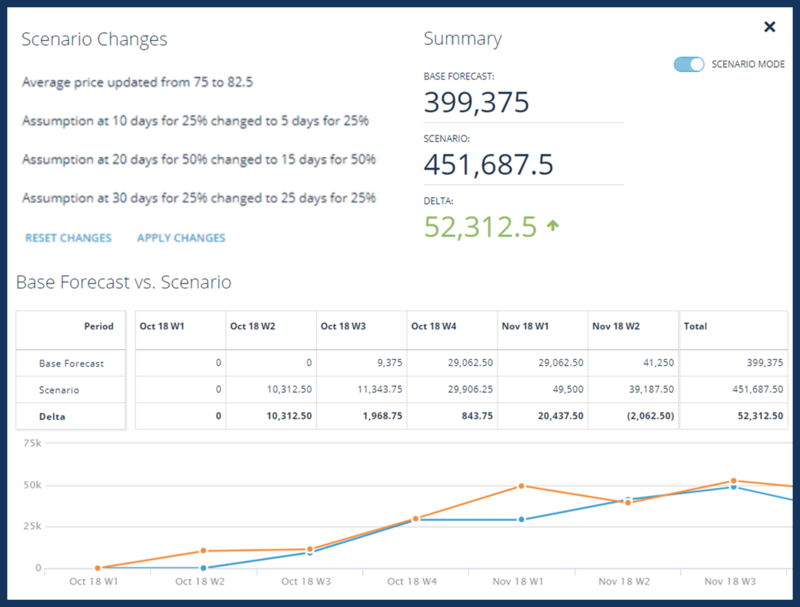 Quickly set up a driver based forecast structure that aligns with the unit economics of your business to deliver a cash flow forecast. CashAnalytics modelling functionality enables you to build a relatively complex data model in the fraction of time that it would take in other tools. Driver based cash forecasting allows you to calculate the impact of a range of difference scenarios and stress test the effects on cash levels across the business. Integrate unit volume, pricing and expected collection terms through to a revenue and cash flows. Full flexibility to set up forecast structures with unlimited components and inputs. All components and drivers are fully reusable and do not have to be re-built for refreshing forecast versions. CashAnalytics connectors and APIs allows you to leverage existing company data sets for driver based analysis. Integrate with your existing finance technology stack to leverage data from ERP, Ledger, TMS, and planning systems or any appropriate data source to leverage existing technology data sets. Analyse driver based models and forecasts against against actual cash flows. Full drill down to linked data items facilitates investigation of any areas of non-conformance. Use a process of iteration to adjust, tune, and continually improve your forecasting processes. The compounding effects of accuracy improvements then feed through to overall forecast accuracy. Complete a full audit trail on forecast versions, assumptions and modifications so you can quickly see what the forecast is based on and identify the source of any erroneous data. Using the base model as a starting point quickly flex the drivers to perform scenario analysis to test assumptions, favourable or stressed conditions. When integrated into the holistic planning process, these scenarios can then help measure the impact of various changes, e.g. longer/shorter payment terms, price increases/decreases, supplier costs, etc. on revenues and cash flows. Our software is intuitive and easy to use. Information is presented in an easily accessible format, and all data can be exported to excel at the touch of a button. KPI dashboards offer real-time visibility of cash flow across the business. These dashboards can be edited enabling push of a button visibility of current and forecast liquidity positions.